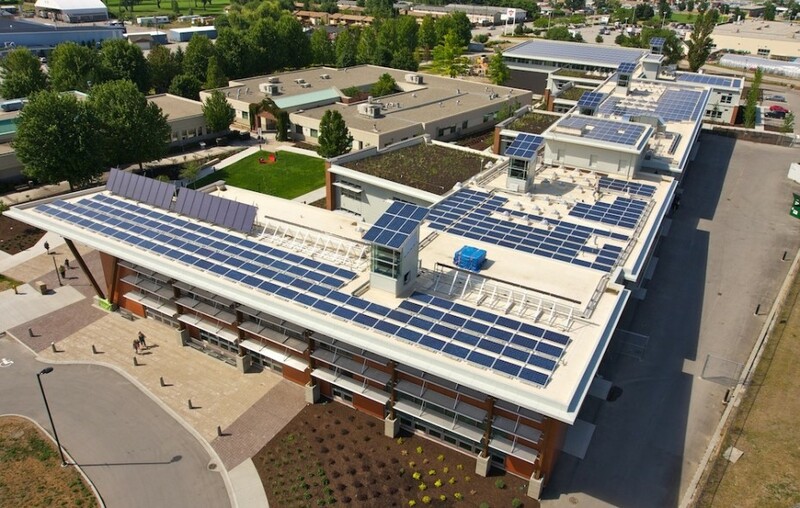 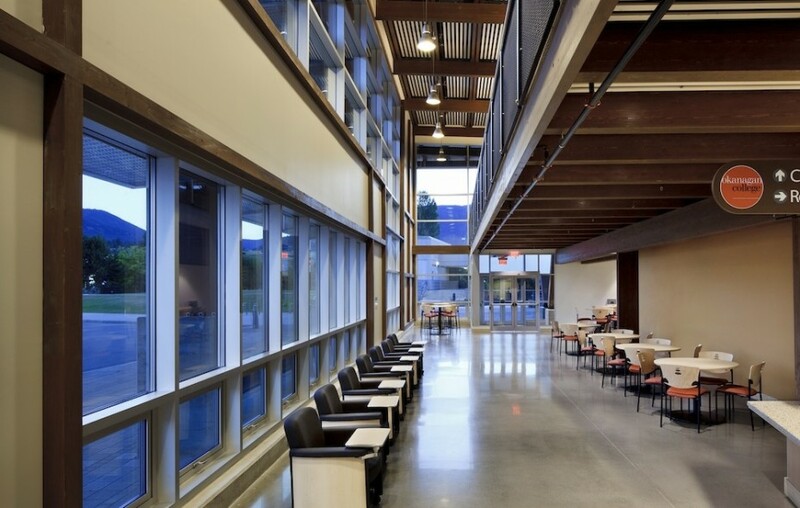 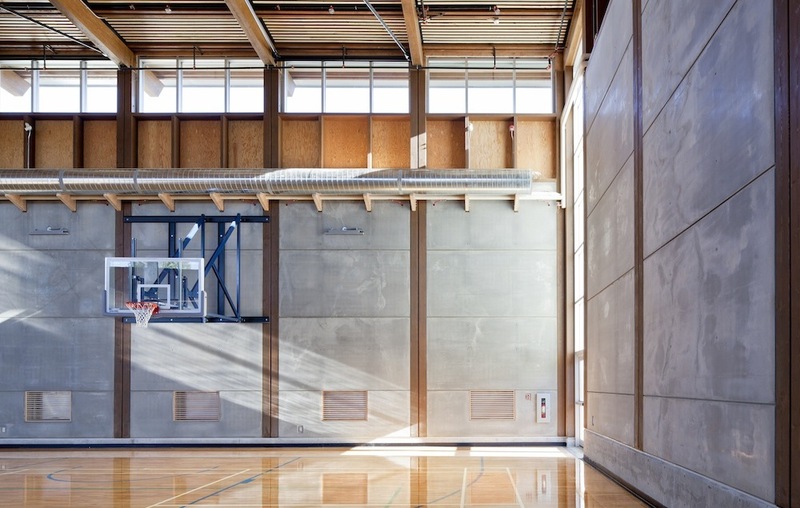 The Jim Pattison Centre of Excellence in Sustainable Building Technologies and Renewable Energy Conservation at Okanagan College is one of the greenest buildings in the world. 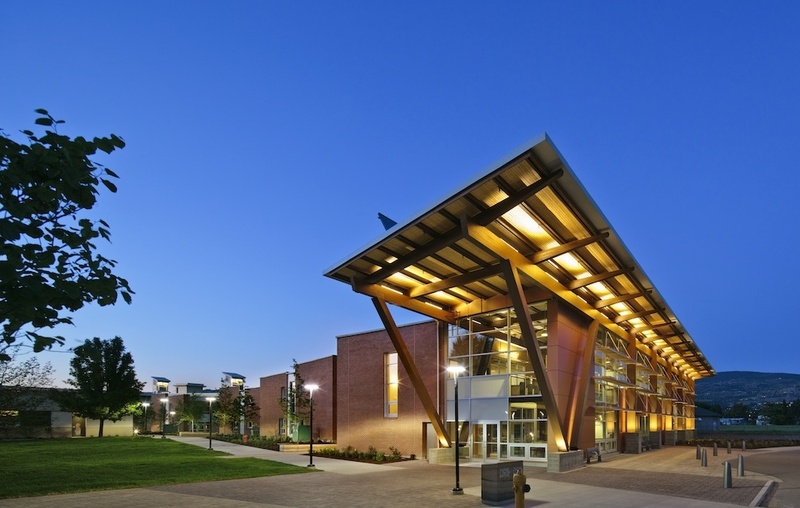 It was designed and constructed as an innovative, sustainable post-secondary facility that is highly adapted to its site, climate and context. 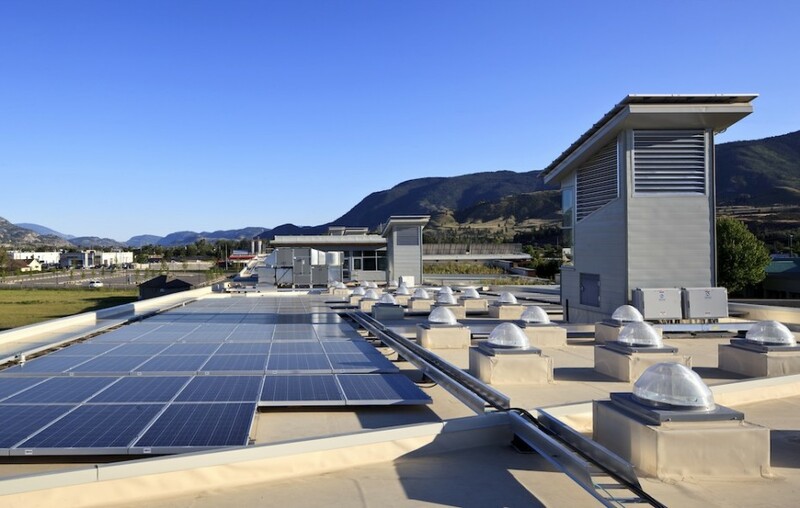 The facility supports a syllabus with a focus on sustainable building technologies and processes, as well as research and development of alternative and renewable sources of energy. 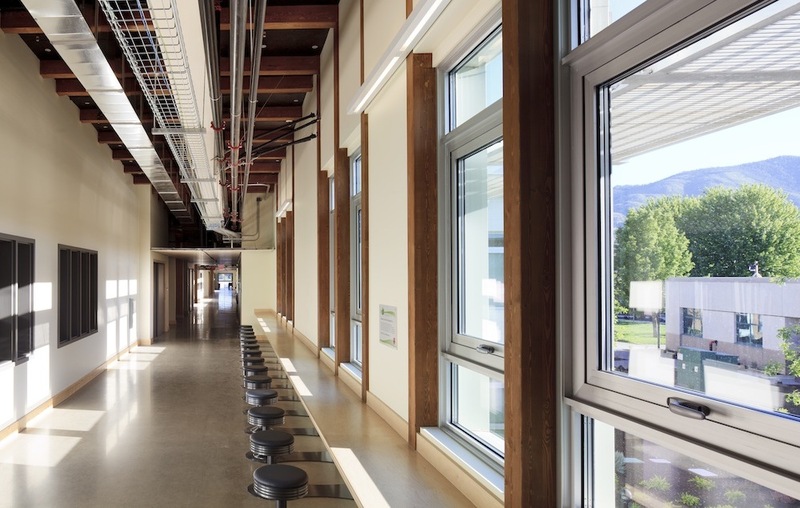 As such, the innovative features of the building itself will be used as a teaching tool to help train the next generation of tradespeople in green construction practices. 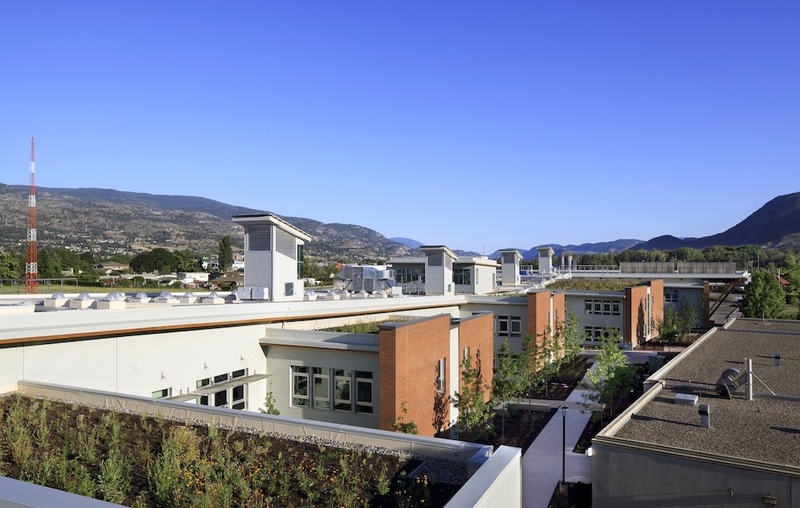 The Centre of Excellence has been designed to meet the ambitious targets of not only LEED Platinum, the highest level of LEED certification, but also the Living Building Challenge (LBC), the greenest rating system in the world – requiring net-zero energy and water consumption, as well as several other Imperatives. At 6,780 square meters, this project is the largest in the world to target the Living Building Challenge. 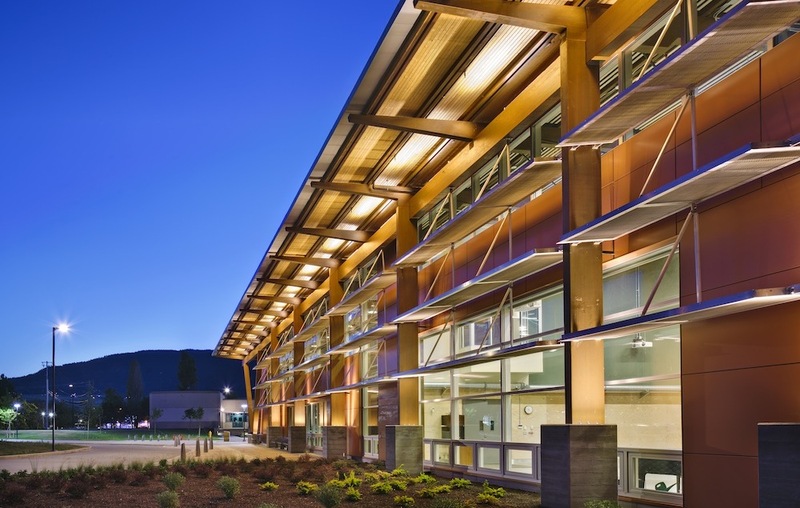 Through our roles as Sustainability Consultant (LEED and LBC) and Energy Modeller, we employed an integrated design process to coordinate the team around the extremely difficult challenges of the Living Building Challenge, with a focus on passive design solutions.